Document Scanner PDF Creator : Sometimes in a single day you need your different documents scanned multiple times. In that situation if everything is planned you will definitely not suffer more. But if the need to scan that document arises one by one it will be a disaster for sure. 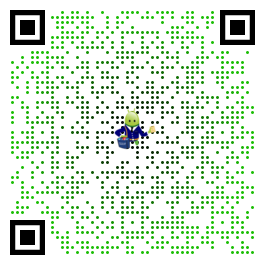 Enhance the scan quality automatically/Manually. Enhancement includes smart cropping and many more. Optimize your PDF into modes like B/W, Lighten, Color and dark. Turn scans into clear and and sharp PDF. Arrange your doc in folder and sub folders. Print and fax the scanned doc directly from the app. Upload doc’s to the cloud like Google Drive, Dropbox etc. Turns your old documents into a clear and sharp one by removing the noise. Can create PDF in different sizes from A1 to A-6 and like Postcard, letter ,Note etc. Your help with translation will be really appreciated. Best Document Scanner – It has all of the features that a scanner should have. 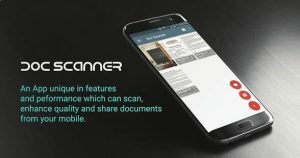 Portable Document Scanner – By having this document scanner in your phone, you can save your time and efforts by quickly scanning anything on the fly. Paper Scanner – The app offers third party cloud storage(Drive,Photos) where you can scan papers and save on cloud storage. OCR Text Recognition (Upcoming Feature in Next Update) – The OCR Text Recognition let you recognize text from images then edit texts or share text to other apps. Images to PDF Converter – You can select some image from Image Gallery and convert it into a PDF file as document. Cam Scanner – Take a picture of the whiteboard or blackboard and produce it exactly same with the help of Doc Scanner at home even if you’re offline. No internet required for the app to function. Flashlight – This scanner app also have Flash light feature that helps you in taking scans in low-light environment. A+ Document Scanner – This App is rated A+ by users based upon multiple ratings and reviews. I feel its a great app. We can save our documents in a proper way. Thanks for a wonderful app. Move option added for documents. Text highlighter new tool added to highlight important information. Scan settings improved for multiple document scan. Any suggestion or request- Please mention in review or contact us.